Melania Trump has denied a report saying she might not be moving to the White House. But a spokesperson for Melania Trump, Stephanie Winston Wolkoff, said the Us Magazine claim is false. “Mrs. Trump will be moving to D.C. and settling in to the White House at the end of the school year, splitting her time between New York and D.C. in the meantime,” she told CNN. “Mrs. Trump is honored to serve this country and is taking the role and responsibilities of first lady very seriously. It has only been a short time since the inauguration and the first lady is going to go about her role in a pragmatic and thoughtful way that is unique and authentic to her,” said Wolkoff. The first lady has also hired Lindsay Reynolds as Chief of Staff to the First Lady and Assistant to the President, said a White House press release. 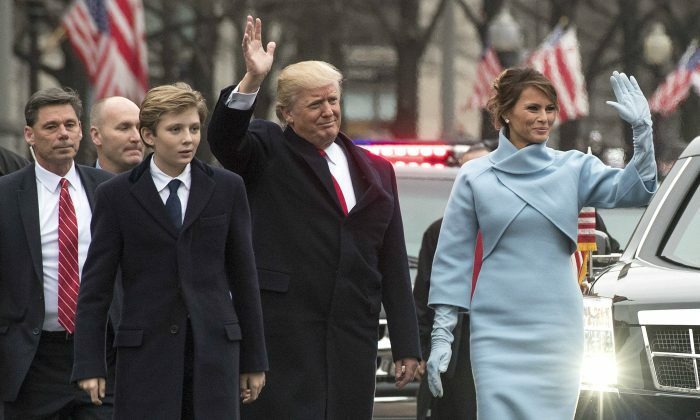 “It has been an honor to take on the responsibility of the position of First Lady, with its long history as an important representative of the President, our family, and the traditions of our nation around the world,” Melania Trump said in the statement.